Down Syndrome NSW is an independent, not-for-profit organisation established in 1980 by parents of children with Down syndrome. The organisation champions the right of people with Down syndrome to have the same access to society as everyone else. This means the right to health, education, work, family and being part of the community. 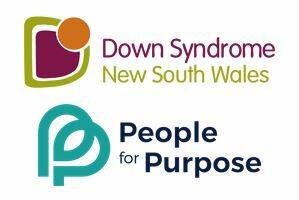 The board and staff of Down Syndrome NSW are a team of parents and professionals who share lived experiences, skills and abilities to provide the best opportunities for members to achieve their full potential. Down Syndrome NSW is a member of Down Syndrome Australia, a federation of eight State and Territory associations which represents the interests of its constituency at a national level. The organisation is seeking a strong and inspirational leader, with sound knowledge of the NDIS, who can leverage off a positive chapter created by the previous CEO, and lead the organisation through a likely period of change. You will be a seasoned strategic and operational leader with superb relationship skills, commercial acumen, sound financial capabilities, inspirational energy and the ability to identify new income growth and operational opportunities, and have experience in influencing systemic change through outcomes-focussed approaches. In this role you will work with the Board to establish the strategic direction, revamp essential services and operations, and drive income growth to ensure the achievement of Down Syndrome NSW’s vision, organisational objectives and financial sustainability. Relationship building is key to this role as you will be dealing with a diverse range of stakeholders including government, non-government organisations, a federated representative body and parents and professionals. You will have a leadership style that enhances a strong team culture, creates role clarity and accountability for the team, whilst nurturing the autonomy required for innovation, all in the context of a constantly changing environment. You will be capable of managing and leading across all function areas (marketing, fundraising, finance, IT etc) to ensure both funds and profile are raised. This is an outstanding opportunity for an experienced leader with exemplary strategic, leadership, financial and operational skills gained in the public or the private sector in an organisation of equivalent size and complexity. Experience in, or exposure to a non-profit organisation is highly desirable but not essential. You will have tertiary qualifications in business, management or related field. For a confidential discussion please call us on 0468 625 252. DSA NSW is an independent, not-for-profit organisation that was established in 1980 by parents of children with Down syndrome.